To paraphrase The Huffington Post from an item it published last month, if the café chain apostrophe insists on including an (alleged or, more accurately, pretentious) accent in its name, then perhaps it's understandable that its punctuation would be questionable. See what I did there by way of example? Well done, Alice Taylor. 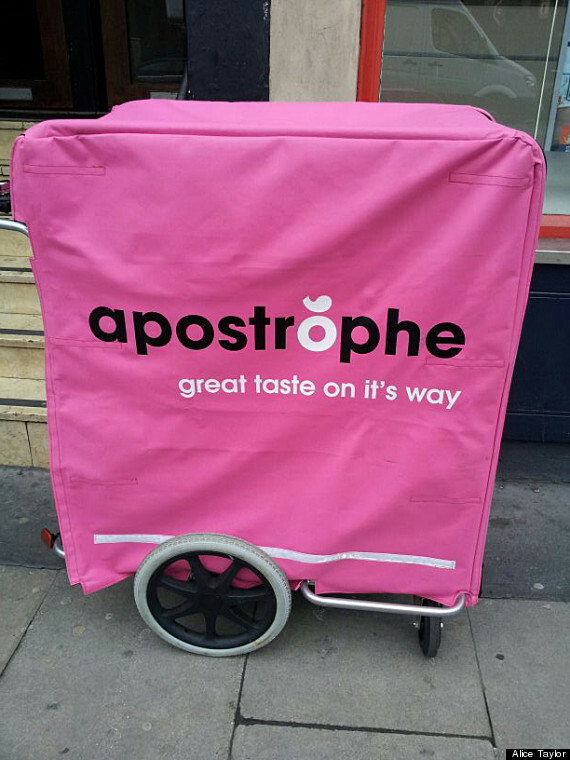 She photographed the glaring error in London on her way to work.